The allergy is a disease which troubles more and more people nowadays and it impacts people of various ages. However, you can prevent the occurrence of many allergens in a house or an apartment easily. A family with allergic children should choose a place to build their new house, whenever possible. A secluded place in the woods or near the fields where the canola with aggressive pollens blooms is not definitely the right option. Neither it is ideal to choose a house or an apartment near a major road where the dust created by the traffic enters the dwelling, so a person suffering with allergy can literally “go mad” because of sneezing and the constantly runny nose. Doctors recommend the allergy sufferers to live near a river or a lake, where the air is more humid and where less irritants are present. Naturally, not everyone can afford to build a new house on a lake or to move away from a large and dusty highway. It is also very unlikely that farmers will stop growing the canola, with regard to allergy sufferers. Nevertheless, there are several options to reduce the unpleasant allergy manifestations at home, at least. An allergy sufferer should have a room on the side away from a forest, a field or a road. Ventilation should be brief and intense, preferably during a rain or wet weather, when the allergens in the air are the least. There should be as many air humidifiers in the apartment, as possible. The clothing the allergy sufferers wear outside should not be hung in the room where they sleep. Doctor recommend them to have a shower, whenever they arrive home, not to bring the allergens unnecessarily into their rooms, thus avoiding lying down in a bed full of allergens. 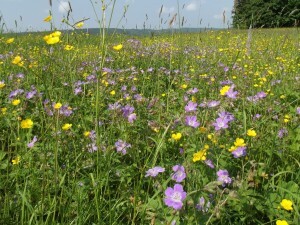 However, not everyone is allergic to the flowering fields, meadows and trees or to the dust from the roads. 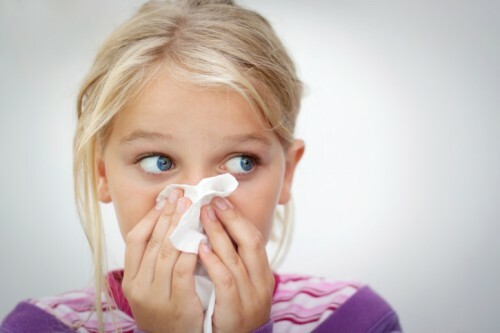 The vast majority of allergy sufferers are sensitive to dust mites. They keep inside apartments especially in the carpets, blankets and clothing. That is why floating floors, parquet floors or linoleum are all better for an allergy sufferer than a carpet. Of course, not everyone has the opportunity to replace their furniture or their chairs, at least. A leather sofa is definitely better than a traditional upholstered one then. No allergy sufferer will be pleased by a flower bouquet for their birthday, nor will they expose it in their room and they get rid of it (after the departure of the visit) as soon as possible. It is similar to the plants in pots, which are popular in many homes and which keep an incredible amount of dust and mites. The experts recommend to shower the plants once a week at least to wash away the allergy starting substances. If possible, there should be no plants in an apartment where an allergy sufferer lives. Also the hobby gardeners who grow their own seedlings of peppers and tomatoes often threaten their allergy suffering family members without realizing it. The allergy sufferers will be certainly glad to hear that the carpets in an apartment should not be vacuumed in their presence. A large cleaning, such as before Christmas, can also cause them some unpleasant health problems. On the other hand, a regular cleaning with dusting and vacuuming (with a quality appliance) can reduce their allergic reactions.